Through Kholwani Ngwenya, a lawyer with Mabhikwa and Partners, Khupe submitted that they were seeking postponement of the hearing which was set for yesterday to next week. "I have got an instruction to seek the postponement of the matter to pave way for Madhuku to take over the case. Madhuku has promised to come down on Tuesday and he is the one who will be representing the respondents," Ngwenya said. Bulawayo High Court judge Justice Francis Bere upheld the request and postponed the matter to Tuesday on condition Madhuku will be available on behalf of Khupe and others. This was after Chamisa's camp represented by Josphat Tshuma and Lucas Nkomo had filed an urgent chamber application at the Bulawayo High Court, citing Khupe, former national organiser Abednico Bhebhe and former party spokesperson Obert Gutu, as respondents. The MDC-T is seeking an order stopping the respondents from "unlawfully exploiting and abusing its registered MDC-T trademark, symbols and signs". In his founding affidavit, MDC-T acting chairperson Morgen Komichi said he was seeking an order interdicting the respondents from unlawfully using the party name in their political agenda and infringing on registered trademarks. He said the trio were dismissed as members and office bearers of the opposition party on March 23. Komichi said Khupe and her allies were causing confusion and misleading MDC-T followers by continuing to use the party trademark, symbols and signs. He said notwithstanding the dismissal, which effectively terminated their membership; they have purported to present themselves as not only MDC-T members, but office bearers, thereof, and, thereby, causing confusion among party supporters. 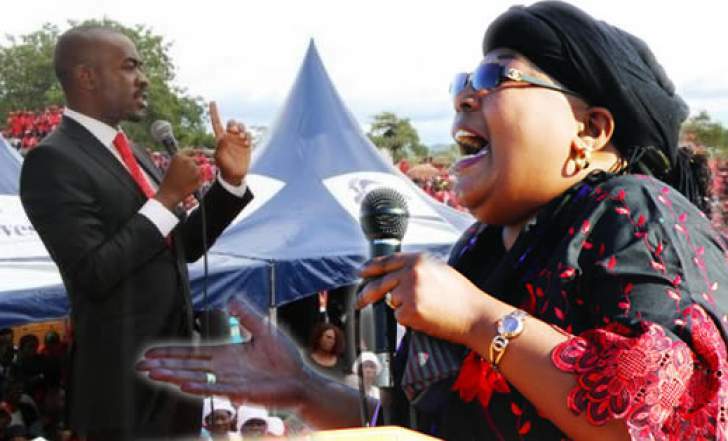 Komichi accused Khupe of masquerading as MDC-T leader and the party's presidential candidate in the forthcoming elections. But Khupe, through her lawyer, filed on opposing affidavit, insisting that she was MDC-T acting president. She argued that she became acting president by operation of law in terms of article 9.21.1 of the party constitution upon the death of Morgan Tsvangirai on February 14. Khupe accused Chamisa of imposing himself and seeking to consolidate his "coup d'état" efforts by refusing to follow the dictates of the constitution. She said her group was the genuine MDC-T, labelling Chamisa and others as rebels. Khupe and allies were expelled by the national council after they ignored an ultimatum to make peace with it in seven days.